Join central Iowa’s Two Rivers Story Spinners for “Tellabration!” – a worldwide celebration of the art of storytelling that brings together storytellers and listeners for an evening of shared enjoyment. This annual storytelling concert will take place at 7:00 pm on Saturday, November 21st, at the Northwest Community Center, 5110 Franklin Avenue, Des Moines, Iowa. The event is free, but donations are greatly appreciated. No money will be collected at the door. Snacks and beverages will be available. To RSVP and to add a donation, please go to EventBrite. Looking for family-friendly fun this Halloween? 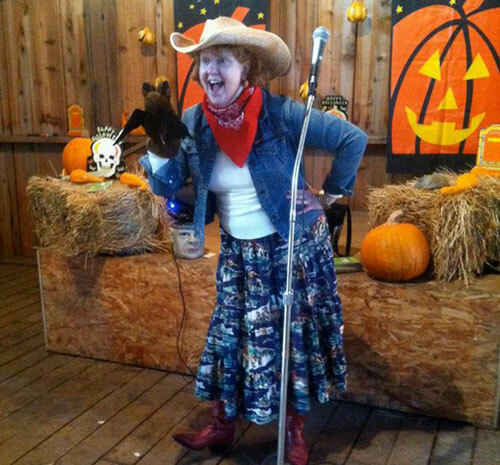 Costumed members of the Two Rivers Story Spinners will be entertaining audiences with Halloween stories inside the Barn at Living History Farms in Urbandale. This is an annual event that is fun for the whole family. The Family Halloween is held the last two weekends on Oct. 22-25, 28-31 from 5:30 – 8:30pm. Admission to Family Halloween is $6.50/person, $4.50 LHF member, children 2 and under free. Living History Farms is located at 11121 Hickman Road in Urbandale, Iowa. Tickets are available the day of the event or in advance at the Living History Farms website. Come enjoy a storytelling event with internationally renowned storytellers, Connie Regan Blake and Jeff Doyle. Connie will perform on Monday, September 14th and Jeff Doyle will perform on Tuesday, September 15th. Both events are held from 7:00 to 9:00 pm at Beaverdale Books. Connie Regan Blake from Asheville, North Carolina, is known for her world tales and personal experiences full of humor, wit and history. She has been telling for more than 40 years and is sought throughout the globe for performances. Connie will not only tell stories on Monday but also will conduct a workshop about how to tell a story, how to create your own tale and how to use storytelling to preserve history. Jeff Doyle is from Michigan and is a well-known storyteller/humorist. He will delight you with his tales of his family and the antics of his children. He is also famous for his ghost tales that make your spine tingle. Jeff will tell stories and conduct a workshop on story. He will teach you to be funny and scary at the same time. Beaverdale Books is located at 2629 Beaver Avenue. Wine and cookies will be available. The cost of the workshops is $20.00. Members of Two Rivers Story Spinners are free. Workshops are recommended for ages 12 and older. 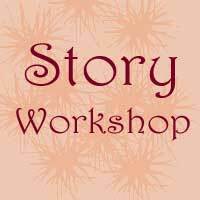 This workshop is presented by The Two Rivers Story Spinners. Two Rivers Story Spinners is an educational storytelling group. The group meets every fourth Sunday of the month in Classroom A of the Des Moines Playhouse at 4:00 pm. Dues are $20.00 a year. If you attend the workshops you become a member.